For anyone who is holding a phone less than an year old and priced over Rs. 30000, there is a possibility that your phone might have a feature none of you have used till now: Wireless charging. The next crop of medium level phones will have this feature. All future flagships (of other companies) will also adopt this. This means that this feature is here to stay. The question is, will it be a useful addition or whether it will be one of those things that will remain in mobile unused and even if left out no one will notice. And even more importantly, will there be a direction in which it will go from here? The first question is: Is it useful? I will be honest in saying that I haven’t used it as of now. 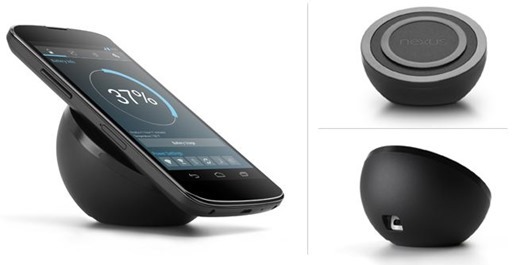 I am thinking of buying a wireless charger but am torn between the Nexus Orb or Qi charger. And obviously the question whether it is of any use anyways. It is basically inductive charging. This means that the charger creates an electromagnetic field (small) and when the phone comes close to this field, it converts this small electric field to electricity. Both the charger and the phone have smart coils which are doing this job. The idea itself is very old- Nikola Tesla was the first person who demonstrated transferring of electricity wirelessly! The problem is that in practice, this field is very small and at any distance over a few centimeters the electric field falls exponentially. I can explain you the curve but that would be too much science. Due to this issue, the charging has to be done by keeping the charger as close to the phone as possible (usually they are kept in contact). This is its most debilitating problem. The idea of wireless charging is excellent if one does not have to use the wires at all. In this case though, the only step that we skip is of putting the wire in the phone. This is not enough to justify the price of the charger and the smart coil in the phone. While steps are being taken to improve the distance for this charging, practical purposes dictate that it should be at least more than a couple of meters. This would ensure that many places like Cafes can put them as an add-on in their shops and it will be especially beneficial for transport (taxis, trains, metro, airplanes etc.). The concept of wireless charging can remove our problem of batteries if they are placed correctly and if they can charge more than one device at a time at a range. Basically, it will have to be like a WiFi router to become a dispensable device. Else, it can join the growing class of technologies like NFC, Floating touch etc. which are there in the phones waiting, hoping to be used! What is your opinion? Have you used it and found it more useful than I feel. Should I give it a solid try?